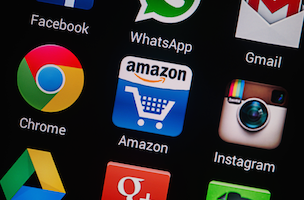 Earlier this year Twitter and Amazon launched #AmazonCart, a hashtag-powered service that let you put products into your Amazon shopping cart simply by replying to a tweet. 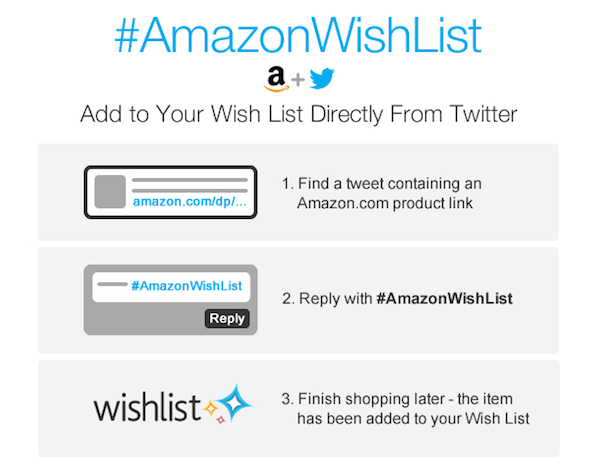 Now, Amazon has launched #AmazonWishList, a similar tool which lets you quickly add items to your Wish List on the shopping giant while you’re using Twitter. It’s worth noting that while your Wish List on Amazon is probably private (to you), your tweets are public, so keep that in mind if you decide to Wish List one or two delicate items.